There is plenty of variety in commercial properties in Cardiff, whether you want to rent or buy. 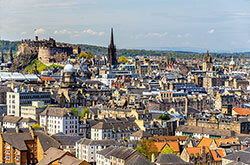 At MOVEHUT, we have a great choice of properties in all classes to make your search easier. 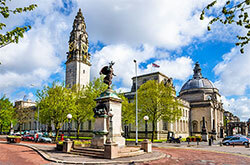 We also cover all the towns and regions within Cardiff. So whichever location suits you best, MOVEHUT is here to help you find the commercial property in Cardiff that's right for you. Finding the commercial property you're looking for in Cardiff needn't be a complicated task if you follow a few simple tips. It's always a good idea to keep a tight rein on your commercial property budgets, whether you're considering renting or buying a property. And we like to plan ahead when it comes to business, which means keeping ample room for staff growth in any commercial property in Cardiff you look at. Being aware of these factors in advance will help you make the right decision when you're searching for commercial properties in Cardiff with MOVEHUT. Find a commercial property to rent in Cardiff with MOVEHUT. 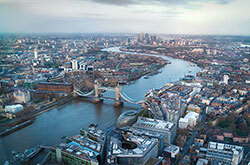 Whatever type of commercial property you want to rent, we can help you refine your search. It's really easy to get started, just find the town or city in Cardiff you're looking to find a property in and start your search right now. There is a diverse range of properties available in the towns and cities in Cardiff, from industrial unit to office space. So having an idea of exactly what you require beforehand will make your property search in Cardiff easier. At MOVEHUT, you can refine your search in a number of ways to ensure you only get the results that matter to you. Why not get going right away, and find a commercial property for sale in Cardiff that makes you feel confident and secure. Finding a commercial property in Cardiff to rent or buy is easy due to the large choice of available properties in the area. At MOVEHUT we have commercial properties in Cardiff suitable for storage or retail. We also have offices in a variety of sizes, prices and locations. So whatever type of commercial property you require in Cardiff, you can depend on MOVEHUT to help you find it.